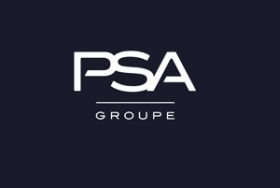 PARIS -- PSA Group's first-quarter revenue fell 1.4 percent as Europe's second-biggest carmaker struggled to increase sales outside its home market and contended with currency shifts. Sales amounted to 13 billion euros ($14.7 billion), the manufacturer of Peugeot, Citroen and DS autos said in a statement today. That compares with a restated 13.2 billion euros a year earlier, a company official said by phone. Excluding currency effects, revenue increased 1.5 percent, the carmaker said. PSA's deliveries in the quarter fell 1.7 percent as drops in China, India, the Pacific and the Middle East more than offset gains of 16 percent in Latin America and 5.9 percent Europe. Argentina's peso was the world's most volatile currency in the six months through mid-March. Exchange-rate moves primarily hurt PSA's revenue from that country, as well as sales from Brazil, the UK and Turkey, Chief Financial Officer Jean-Baptiste de Chatillon said Wednesday. Even so, PSA's performance this year puts it on track to meet midterm strategy targets outlined earlier this month, he said. "We are very satisfied with the beginning of the year," de Chatillon said on a conference call. "And we are hard to satisfy." The company and French competitor Renault were Germany's biggest car discounters in February and March, according to trade publication Autohaus PulsSchlag. That's putting pressure on margins, which are already being squeezed by the carmaker's planned investments to retool its lineup under its so-called "Push to Pass" strategy outlined in early April. The strategy targets a 10 percent increase in revenue by 2018 from 54.7 billion euros in 2015, and a 6 percent return on sales at its carmaking business by 2021. The company, which was bailed out two years ago by the French government and Chinese partner Dongfeng Motor, plans to return to the U.S. through mobility services and to bring its traditional auto-manufacturing business to Iran, India and Southeast Asia.